Been a busy weekend. Last night was Gavin’s 21st birthday party. (His actual birthday was over 2 months ago but I’m sure you’ll all agree, that’s no excuse for not having a party). I managed to keep to my resolve not to drink for the moment, and I feel it would be unfair of me to recount the drinking games from the point of view of a sober person. So I won’t. Handily, staying over at Gavin’s meant I was much closer to Loch Lomond for my walk today than I would have been at home. Not so handily, I only managed to get about 3 hours of sleep… but I felt surprisingly OK. 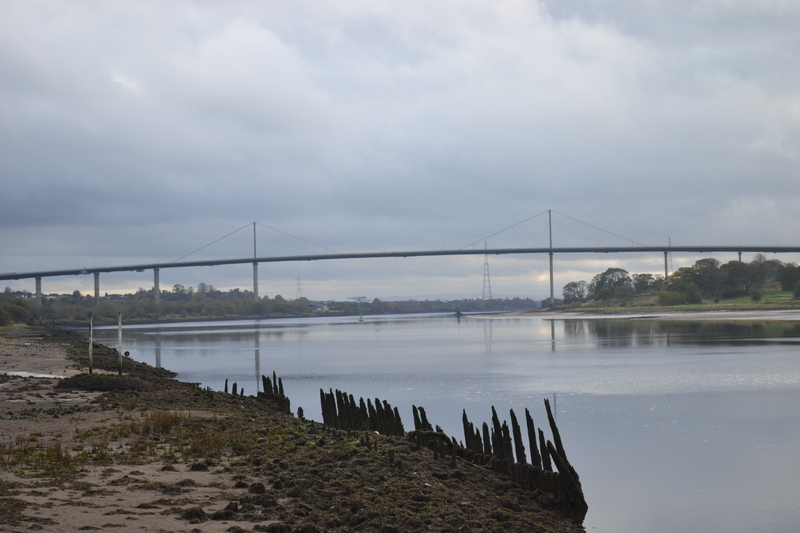 The weather looked promising as I set out towards the Erskine Bridge. I soon found I’d massively overestimated how long it would take to get there – only 9 miles remaining to Balloch and still an hour til the meeting time. So I tried not to think longingly of the precious extra minutes of sleep I could have had, and instead turned off into Bowling to have a wander round the western terminal of the Forth and Clyde Canal and take some pics. Looking up the Clyde to the Erskine Bridge, which I’d just crossed. The canal basin itself. Bowling is sort of special to me, in a bittersweet kind of way. Some of my favourite days out ever were when I walked the whole of the canal with my uncle and auntie as a teenager, and Bowling was where we started one crisp November morning. (I say bittersweet because my uncle died suddenly at a young age a few years ago. Coming to Bowling always reminds me of him and the best of the time we spent together. So far every time I come it seems quiet and still and cold and bright just as it was that day, and makes me feel happy and sad at the same time. Rest in peace Ian). Looking down the Clyde now. Looking like a good day for a walk. 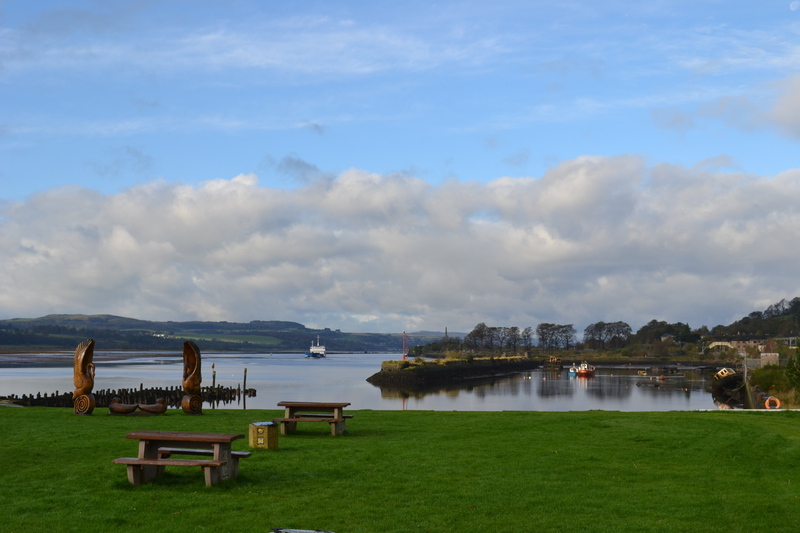 After I’d passed enough time wandering round the basin and finding somewhere to get a coffee, I got back in my car and headed to Balloch. 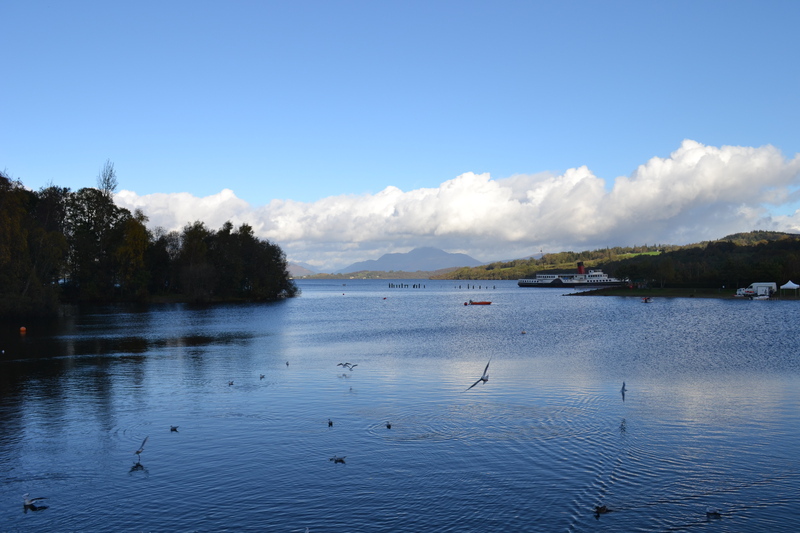 I didn’t remember much of the place, which maybe wasn’t surprising since I think it was 1991 when I was last there, and Lomond Shores hadn’t even been built. But the loch was still the same. (Ben Lomond in the distance looks much clearer than it was when we climbed it back in June and I took this photograph from the summit. Yes, that is a real photo. I have a similar one taken from the top of Ben Nevis as well). After meeting the others (small group today… only 4 of us) our first stop was the cafe, then we went for a wander along the shore. 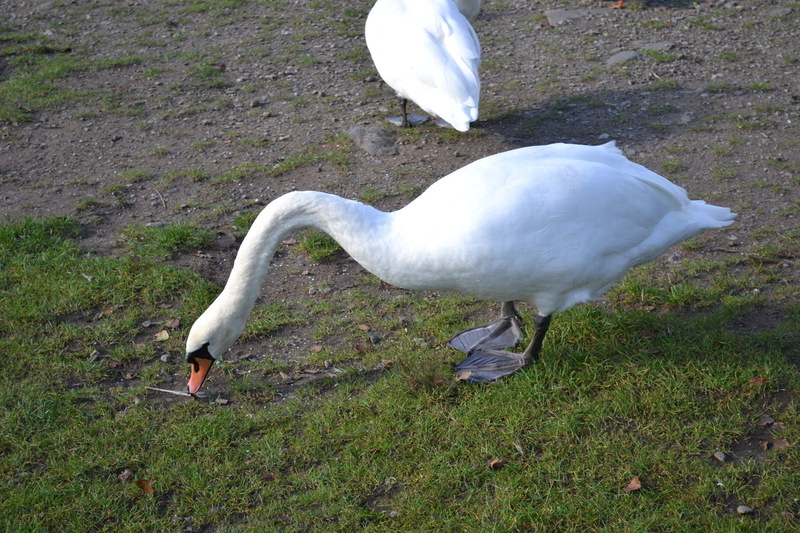 I’m more or less over my swan phobia now, which is a good thing considering I like walking by water so much. We decided to head up to the castle we could see in the distance and have a closer look at it. 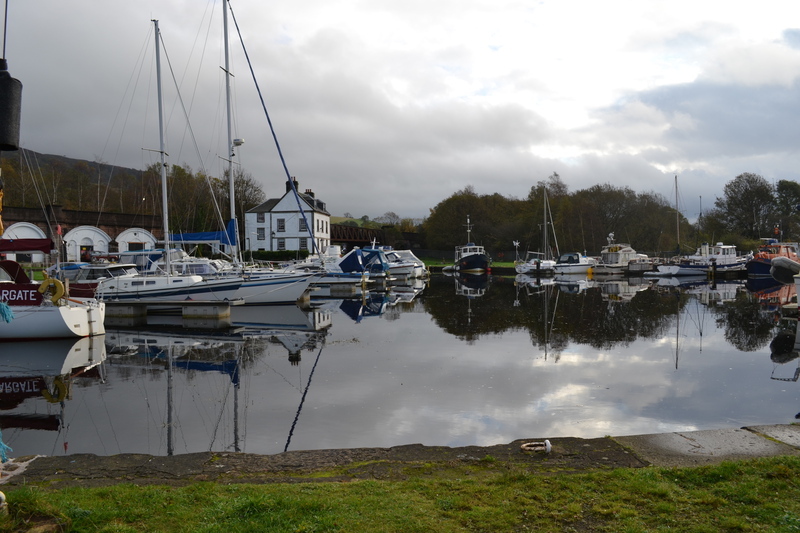 That meant walking down the River Leven to cross it at the bridge in Balloch, then back up the other side. There were loads of boats of all shapes, sizes and states of repair moored there, though not many actually moving at this time of year. 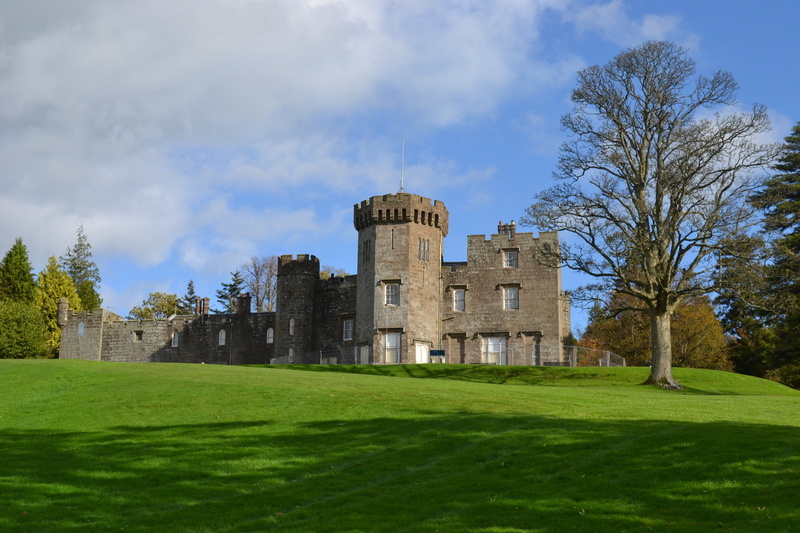 The castle was all closed up and fenced off, looking as if it needs some work. For some reason that made me really want to get inside and explore it, whereas if it had been open to the public I probably wouldn’t have been all that bothered. That’s the way my contrary mind seems to work. But I contented myself with photographing its features from the outside. 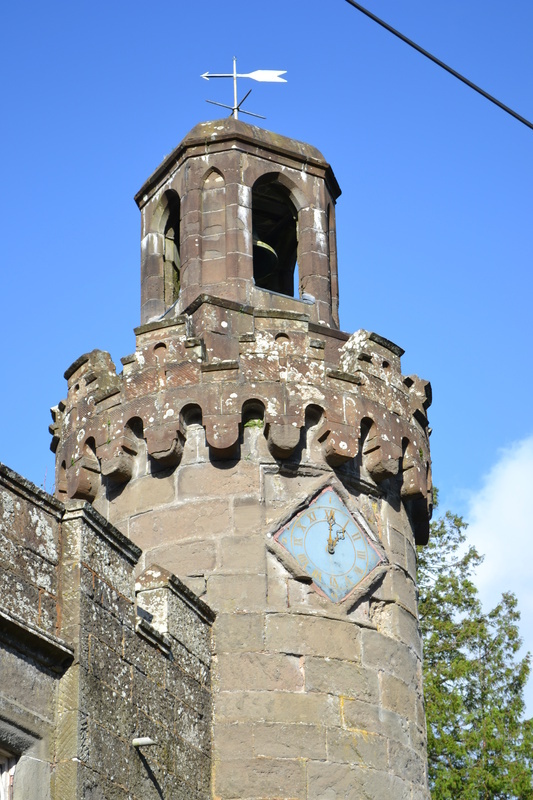 A bright sunny morning with lots of families walking past is no time for exploring semi-derelict buildings, anyway. 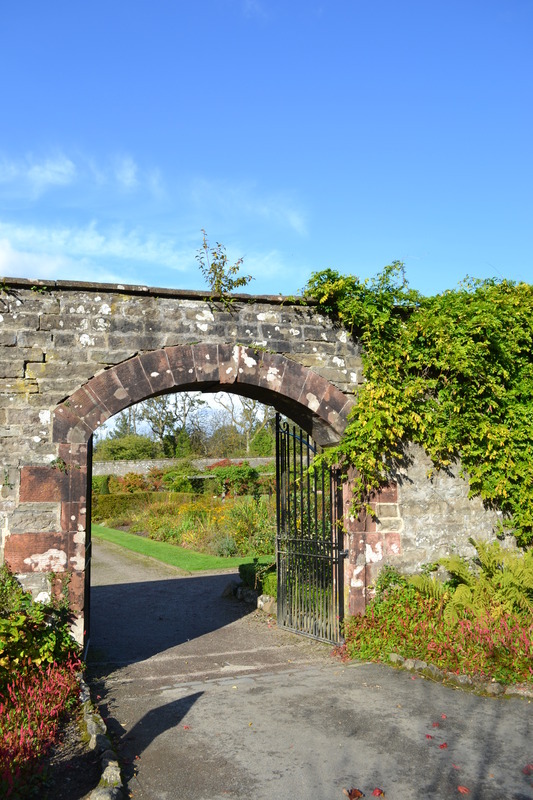 Finally, on our way back towards Balloch itself, we saw the walled garden. We were very lucky indeed with the weather… it was actually warm enough to sit outside for a while. The walk was rounded off nicely with a snack in The Tullie Inn, then I decided it was time to leave before last night caught up with me and I got too sleepy to drive. It was a good day. Thanks Charlene for organising :). (The car seems to be enjoying its new spark plugs. It got 56 miles per gallon on the way home from Balloch which is more than usual and not bad at all for a petrol car of its age and size. Unfortunately though the passenger door is now resolutely refusing to open so maybe I’ll be posting about car maintenance again sooner than planned). 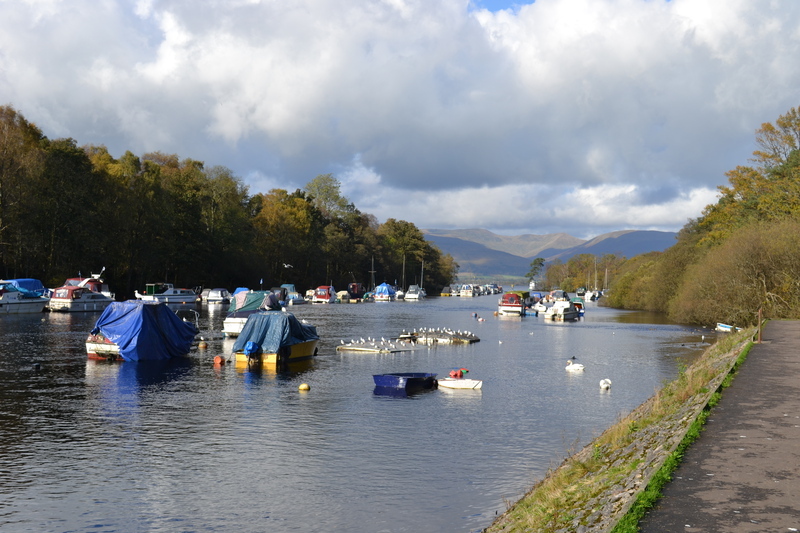 This entry was posted in Walking and tagged bowling, canal, loch lomond, walking by gcat. Bookmark the permalink. It sounds as if you’re channelling Ian – I could just hear him talking about spark plugs like that!